The American Legion Riders are a diverse group of motorcycle enthusiasts sharing common goals. All are members of The American Legion, American Legion Auxiliary, or Sons of The American Legion—and all are united by patriotism. They answer the call to ride in service to America’s military, her veterans, and for the children and youth of our country. 2. Participation in annual regional rides. 5. Sponsoring or participating in motorcycle “Runs” to benefit numerous charities, including charities for underprivileged children and medical research, just to name a few. 7. Annual participation in The American Legacy Run, a fundraising cross-country run from The American Legion’s national headquarters in Indianapolis, Indiana, to the year’s national convention city. How can I become an American Legion Rider? Call The American Legion, Department of Iowa, to locate a chapter in Iowa near your home or get information about how to start a new chapter at your own American Legion post. In all cases, the prospective Rider must first be a current member, in good standing, in one of the three organizations of The American Legion Family: The American Legion, The American Legion Auxiliary, or The Sons of The American Legion. 1. 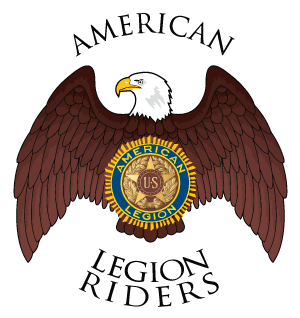 All members of the American Legion Riders must hold individual membership in The American Legion, The American Legion Auxiliary, or the Sons of The American Legion. 2. Members must be the legally registered owner of a motorcycle or be the spouse of the legally registered owner within the state of registration. 3. All operators must be properly licensed and insured per state laws. 4. All members will obey the motor vehicle laws in any state in which they are operating a motorcycle or riding as a passenger.